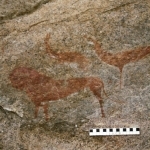 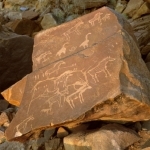 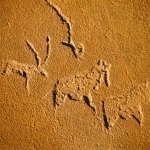 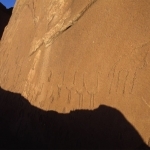 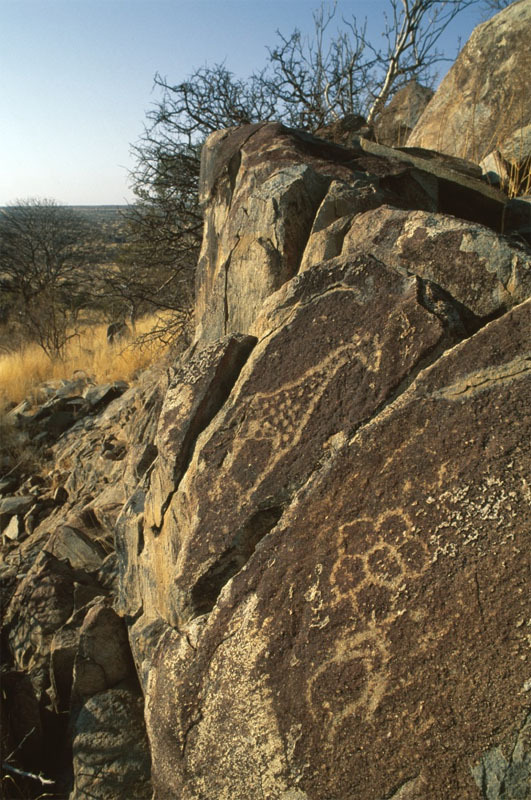 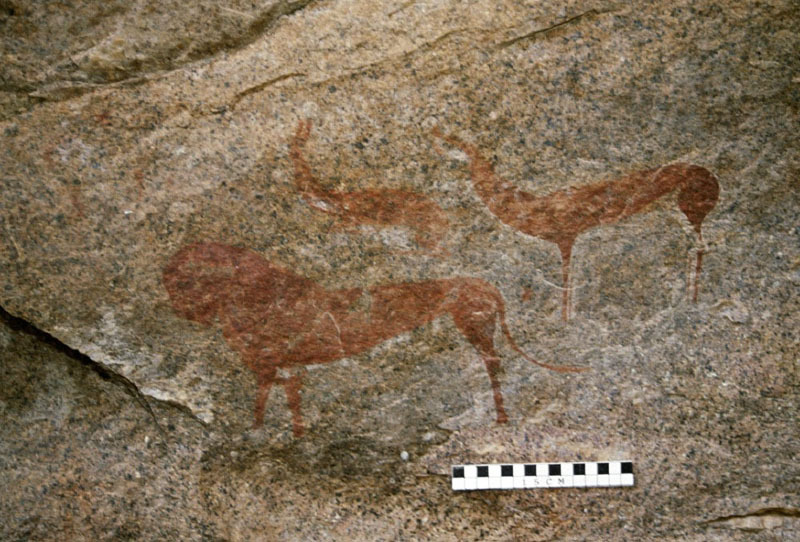 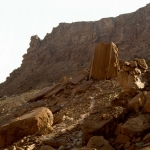 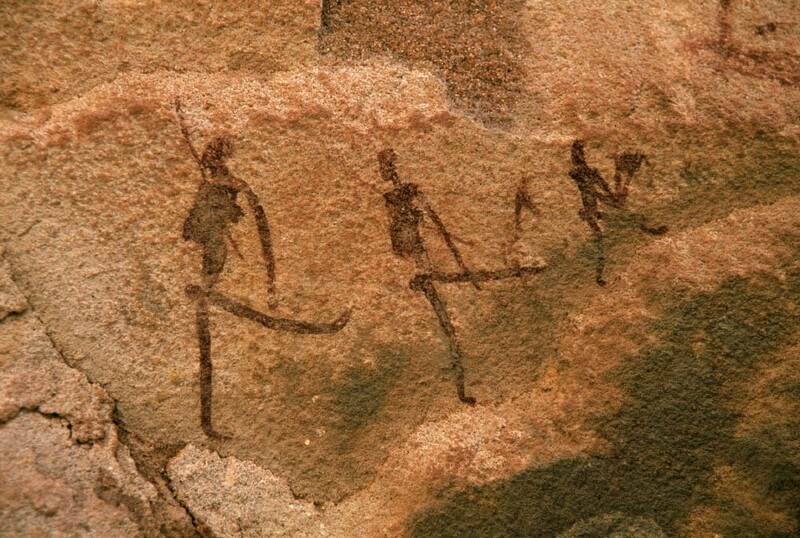 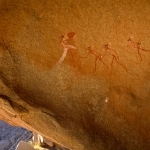 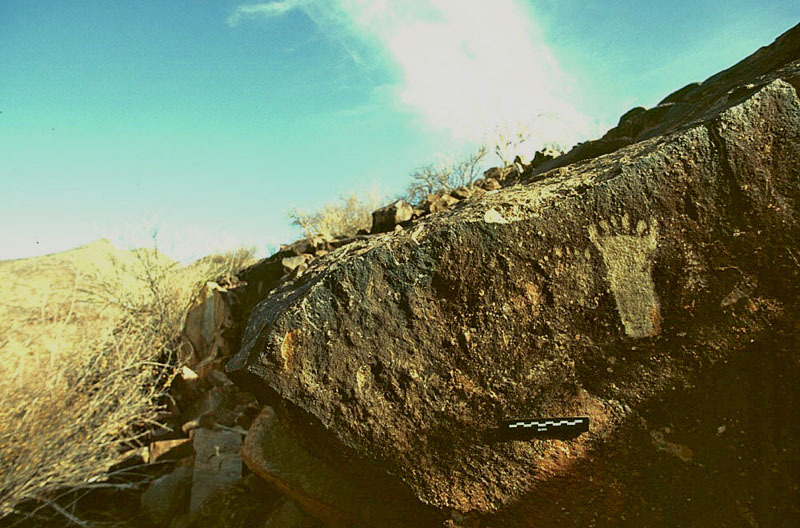 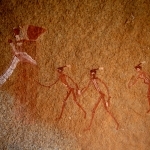 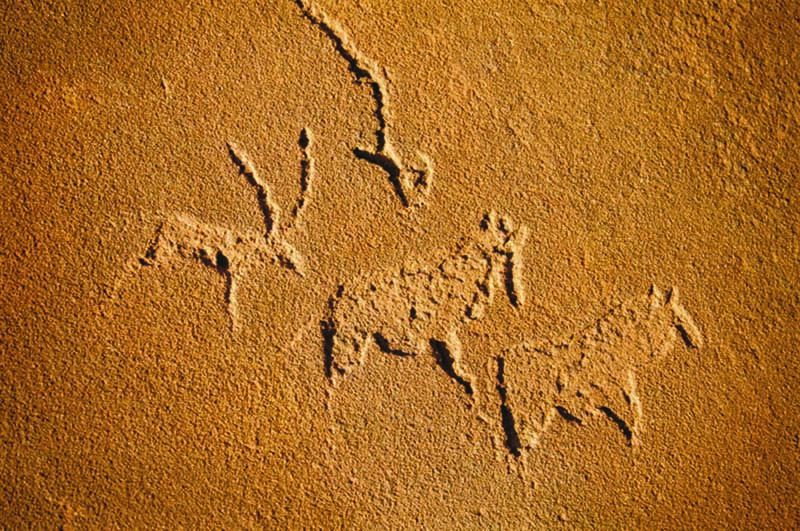 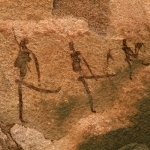 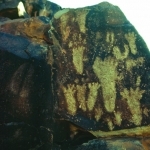 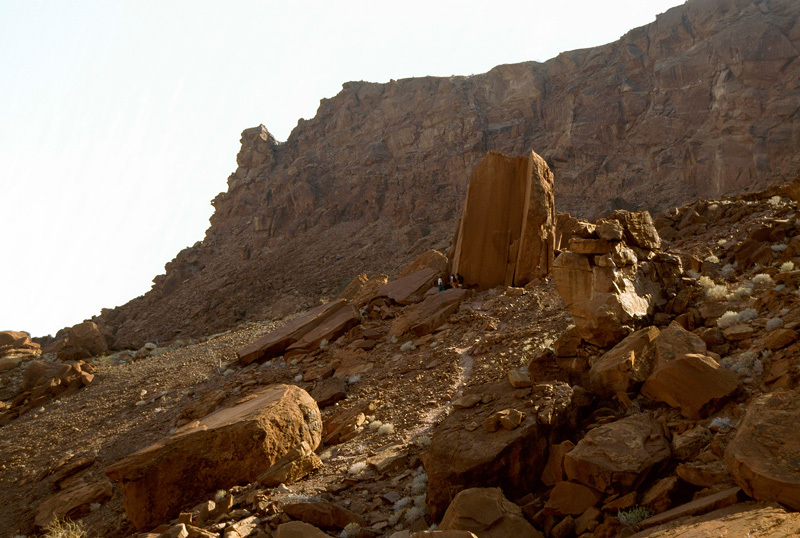 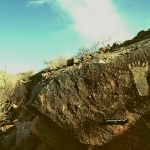 Namibia has large numbers of rock art sites scattered across the country, especially rock engraving sites. 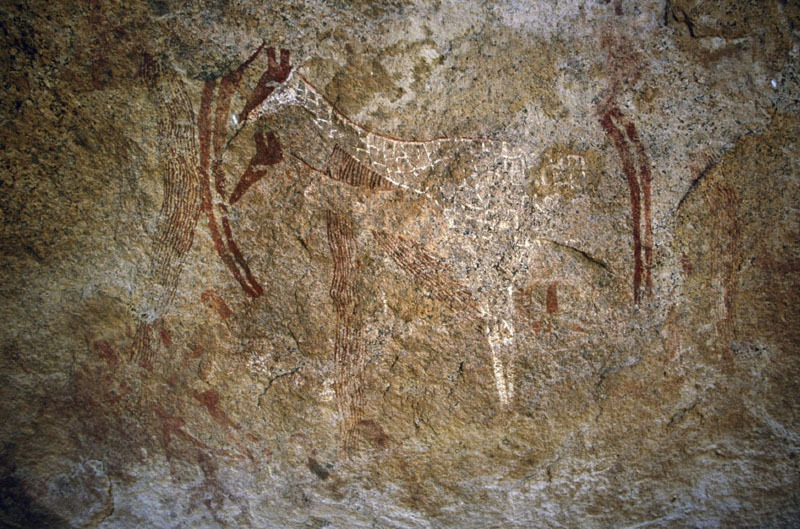 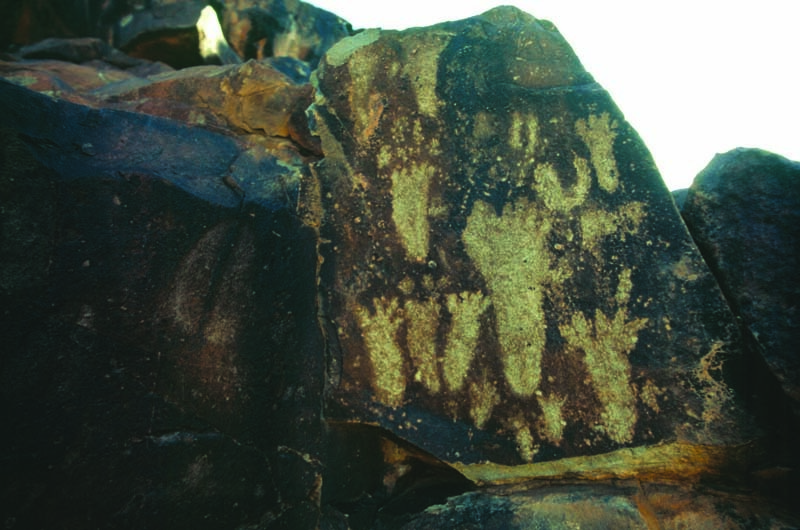 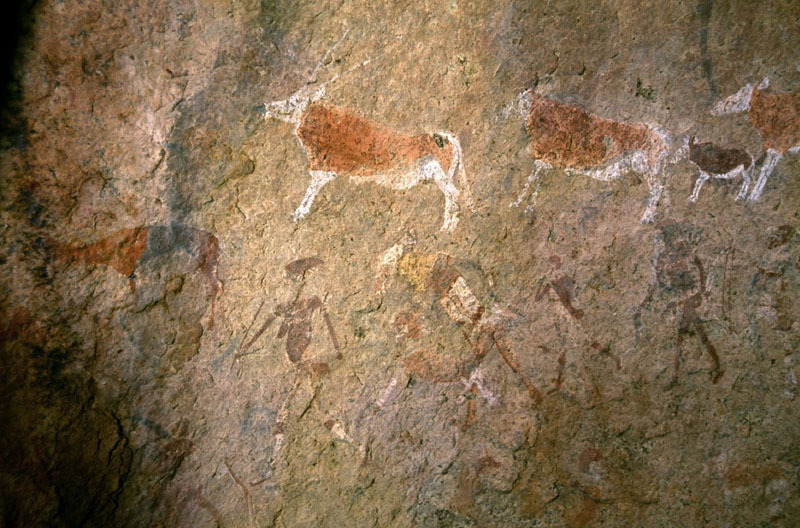 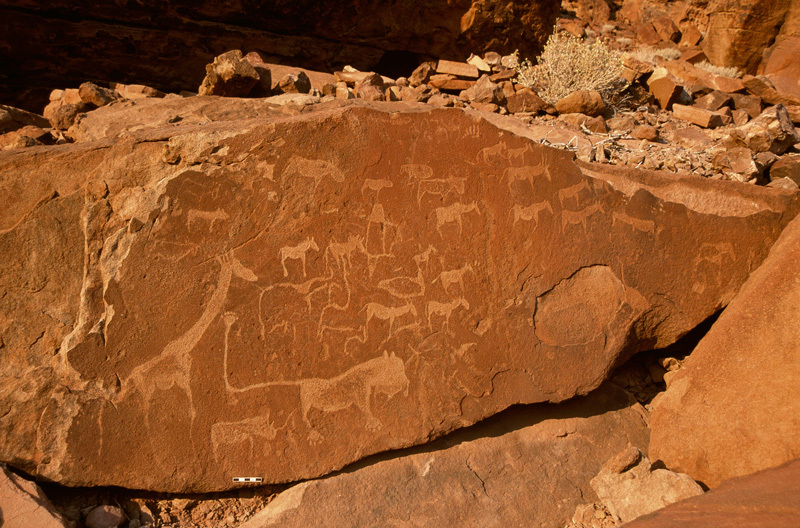 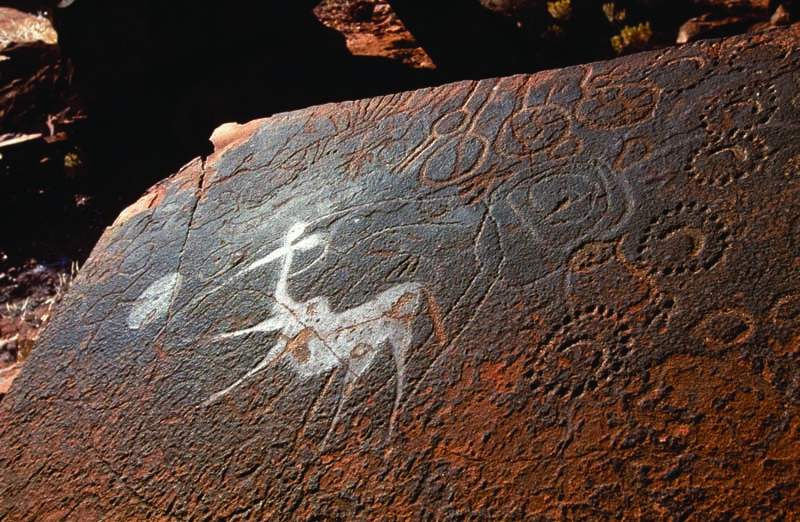 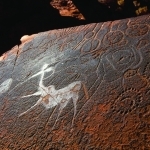 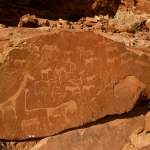 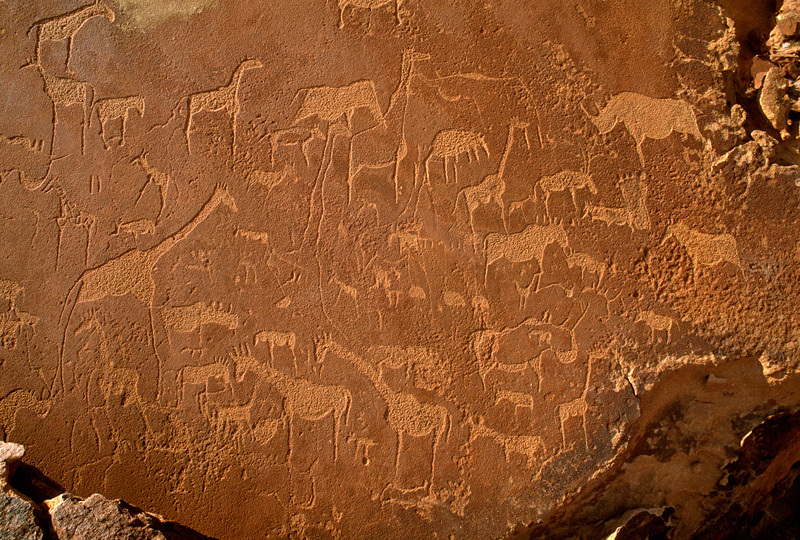 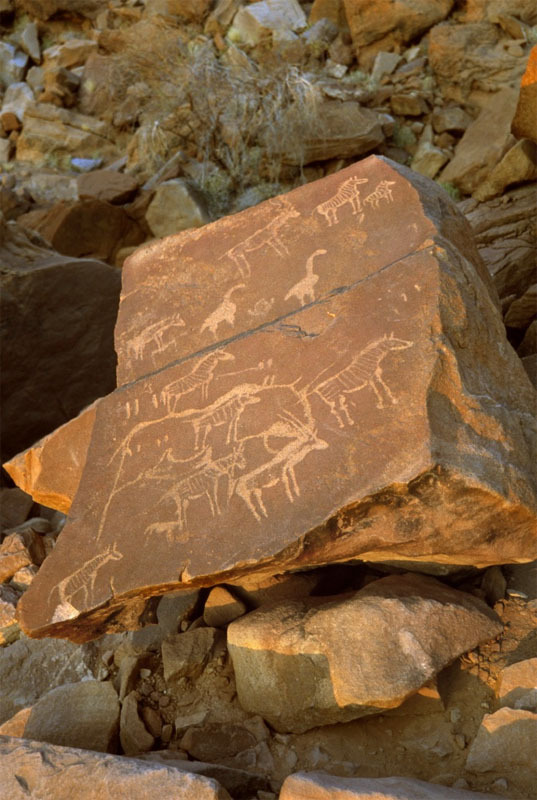 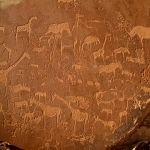 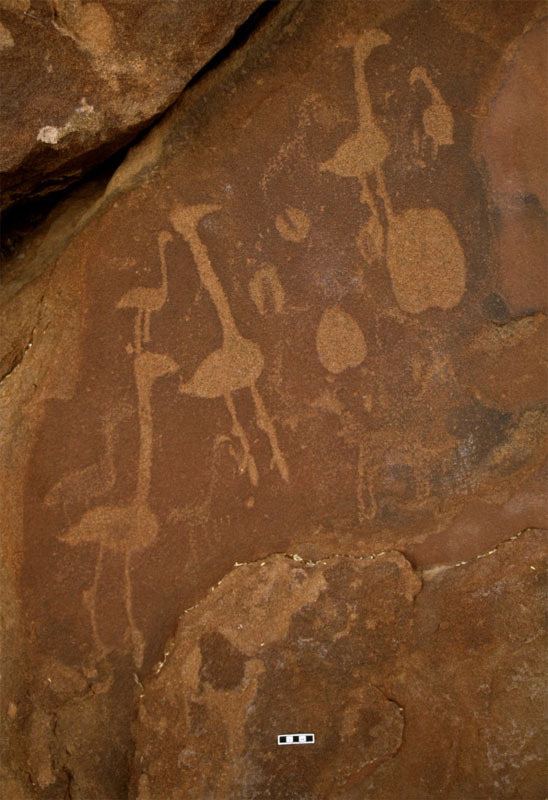 The best known rock art areas are the Brandberg Massif in Damaraland (2697m – mainly painting sites), and Twyfelfontein, a UNESCO World Heritage rock art site, also in Damaraland. 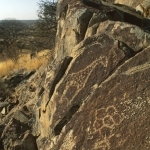 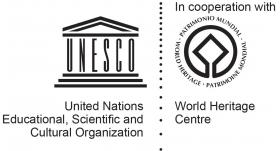 Both of these sites are in the Erongo region in north western Namibia. 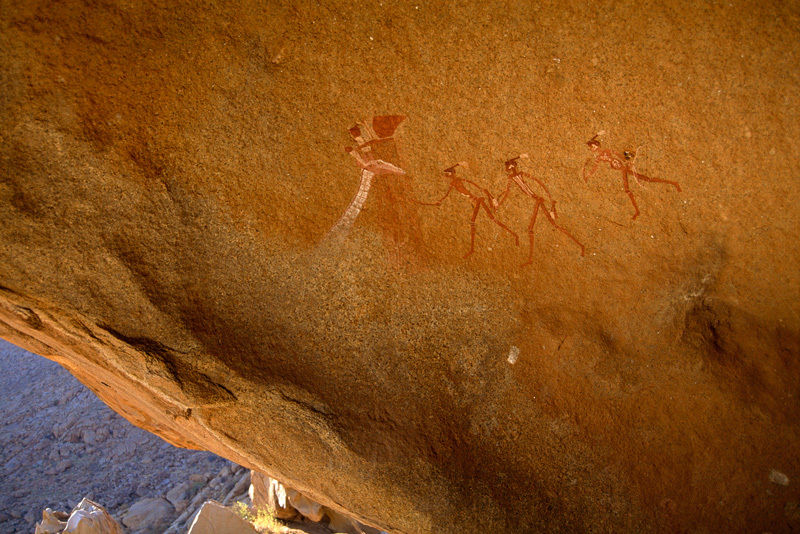 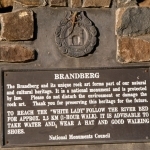 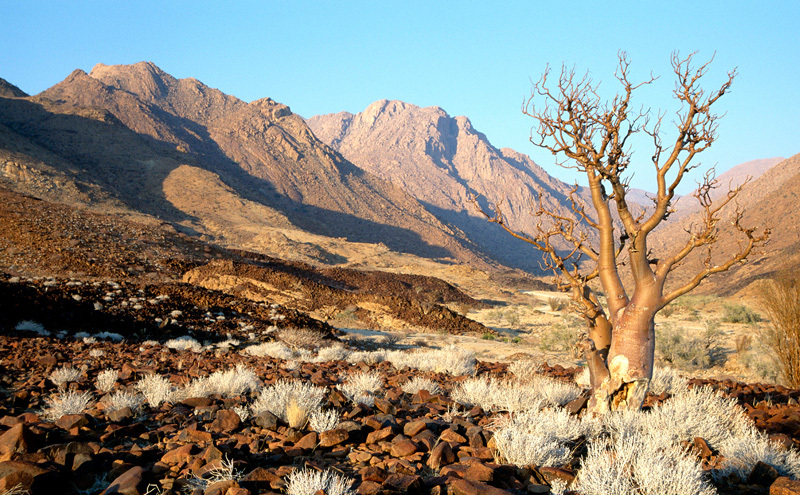 Another important painting area is the Erongo Mountains south east of the Brandberg. 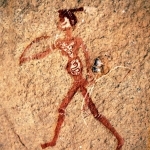 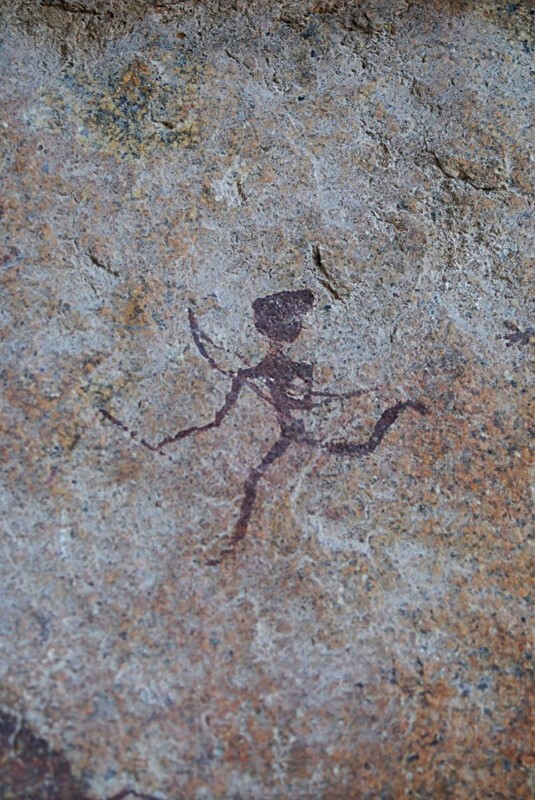 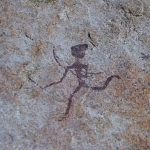 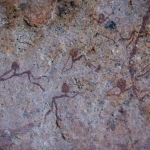 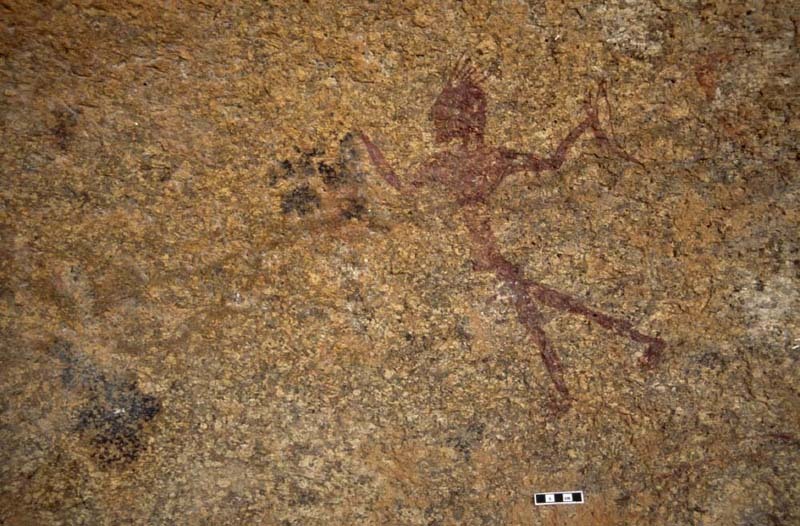 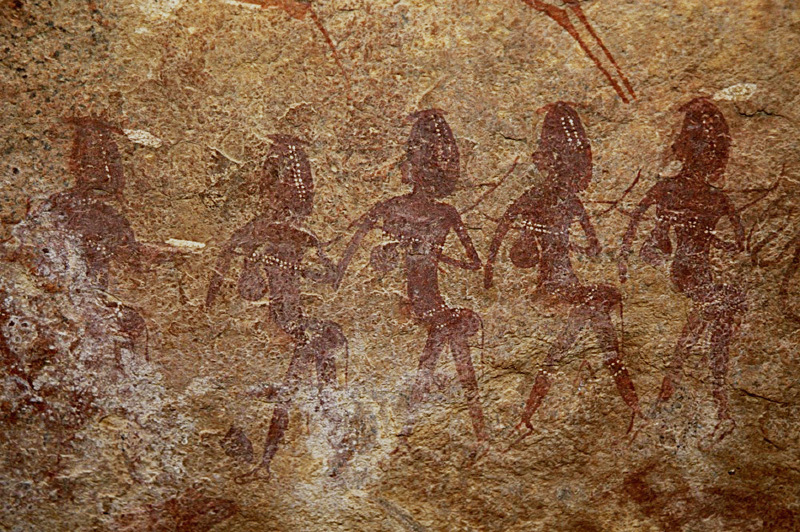 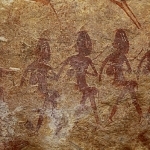 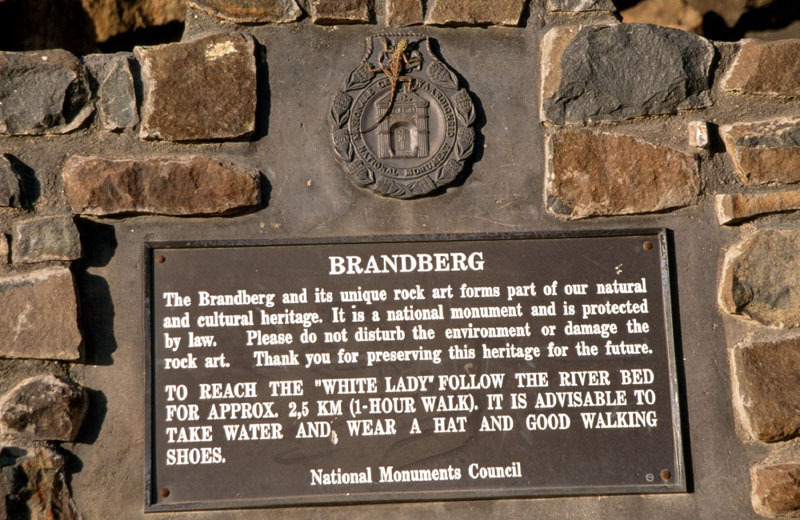 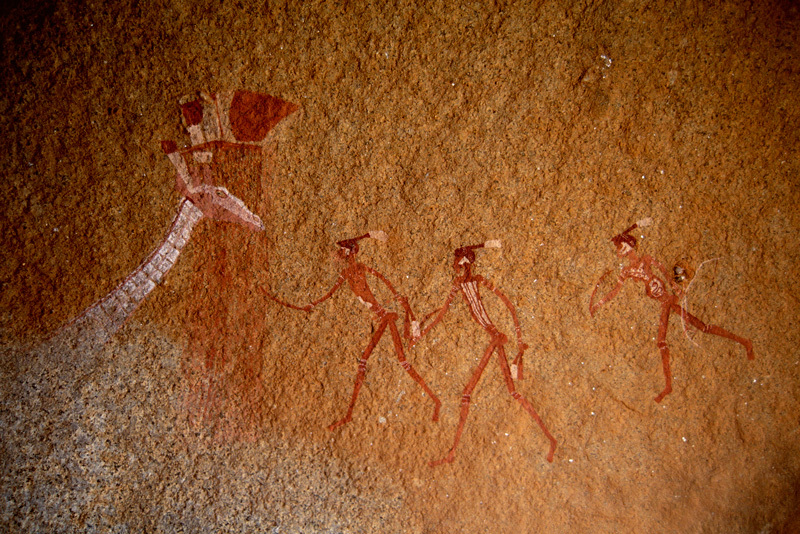 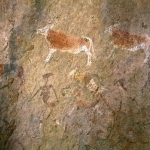 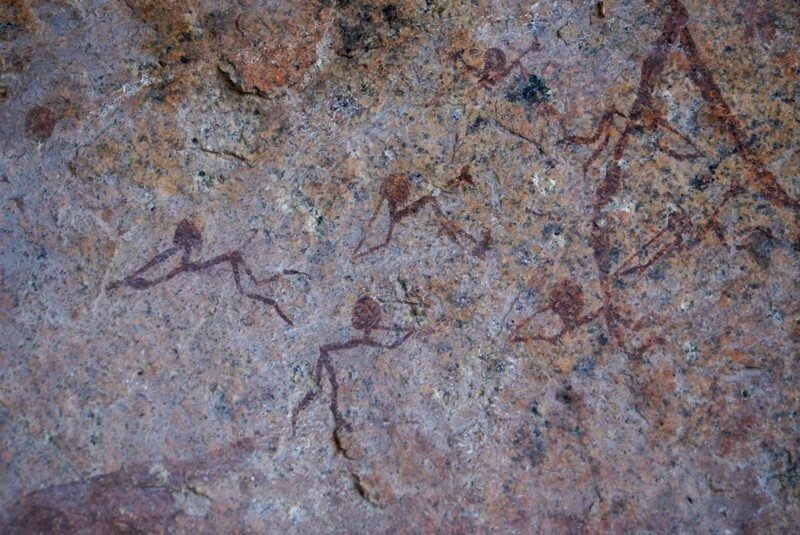 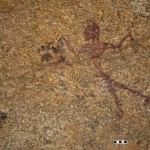 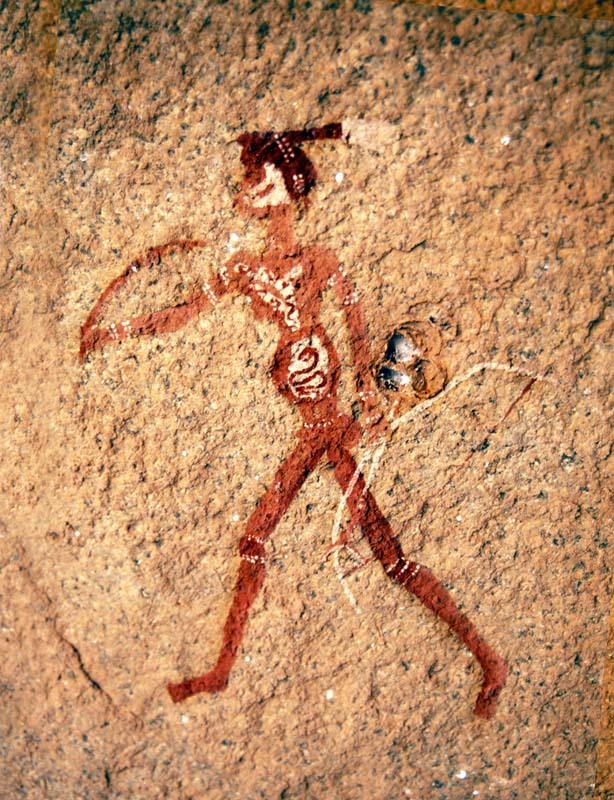 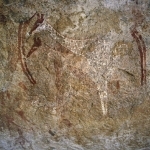 One of the richest rock painting areas/sites in the subcontinent, the Brandberg has large numbers of sites scattered across its 750 sq kms which are mostly the work of ancestral Bushman/San hunter gatherers and may be up to 2,000 years old or more in some cases. 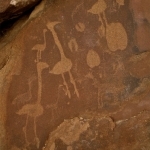 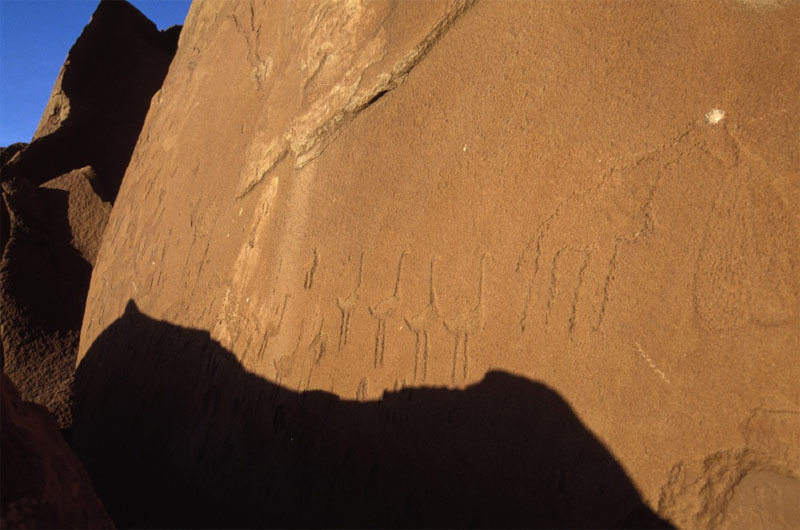 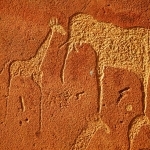 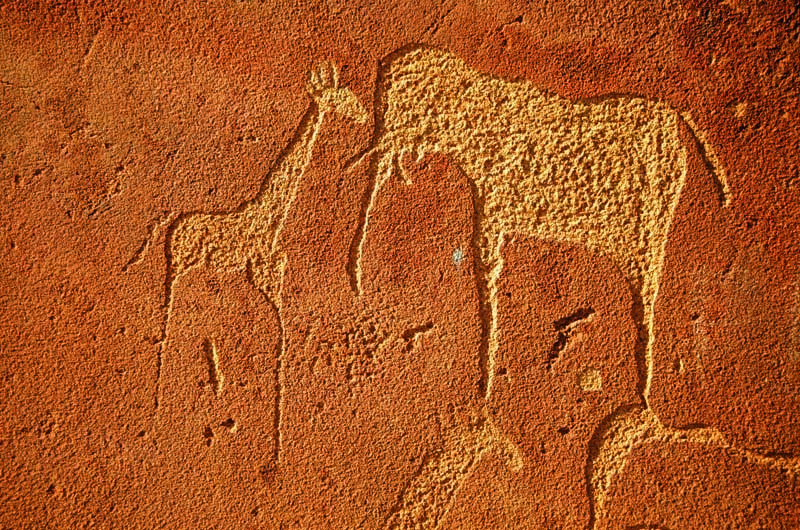 Meanwhile Twyfelfontein is one of the most important rock engraving sites in southern Africa.